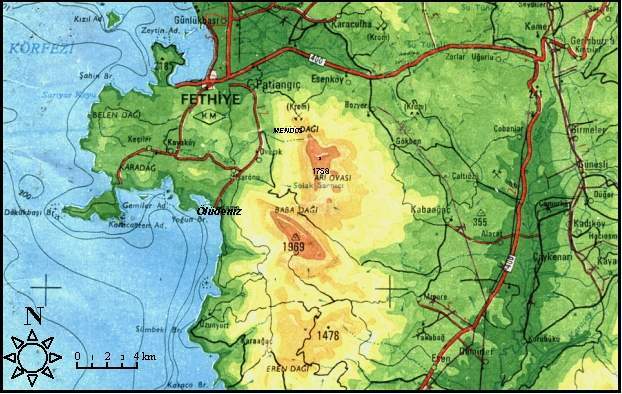 Situated between the peaks of Mendos (to the North) and Eren (to the South), Babadag is 11 km to the SE of the historic town of Fethiye. The mountain is rugged and mostly rocky with a dramatic series of deep valleys and gullies. The rock type is mainly porous limestone limiting surface water and streams, however in some places water can be seen depending on the season, while the only continuous stream is the one flowing through the steep Kidrak valley on the SW side.